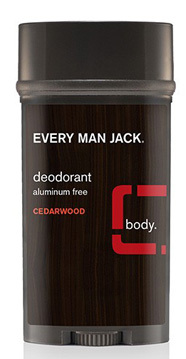 Men's Deodorant - Cedarwood 3 oz (Every Man Jack) - Penn Herb Co. Ltd.
Get long lasting odor protection with this naturally derived deodorant. Cotton extract and witch hazel absorb wetness. Lichen extract—a natural antibacterial agent—helps control odor-causing bacteria. Essential oils of rosemary and sage leave you feeling fresh and clean.